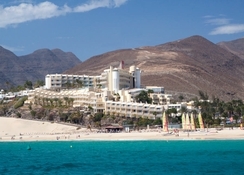 Riu Palace Jandia Hotel is a 4 star property located right on Jandia Beach, close to Morro Jable on the island of Fuerteventura. 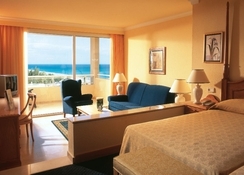 This hotel offers guests exceptional facilities and services, as well as giving you the ideal place to relax and unwind. This is a true modern resort with traditional Spanish charm set on a staggering 32 km stretch of white sand that runs from the South East corner of the island to the North. 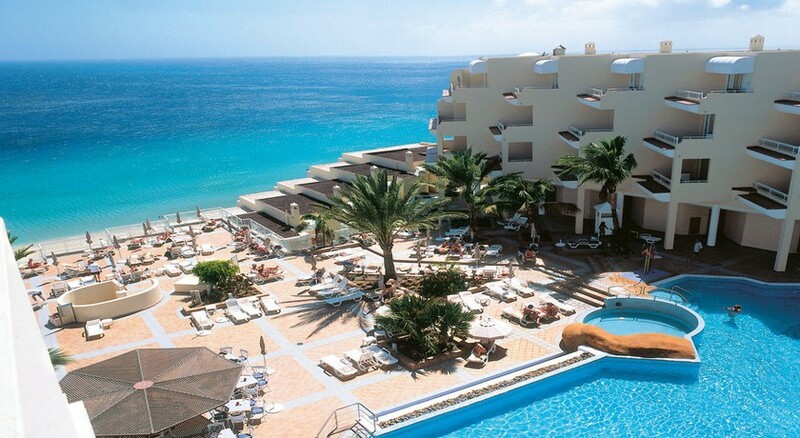 Riu Palace Jandia Hotel really does have it all….picturesque setting, sandy beaches, quality cuisine and a high standard in evening entertainment for all the family. 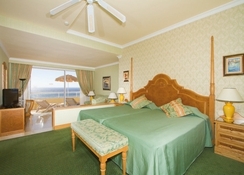 Getting to the hotel: Riu Palace Jandia Hotel is located 90 km from Fuerteventura Airport. Local tips: The centre of Morro Jable is just a 600 metre walk from the hotel where you will find shops, bars and restaurants. 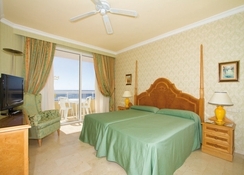 Jandia Beach offers an array of water sports for all the family….you will be spoilt for choice. Morro Jable has an enjoyable nightlife scene with bars playing live music which is perfect for late night socialising. Food, drink and entertainment: Buffet breakfast & dinner, waiter service for main course at dinner, themed buffet nights twice per week, themed restaurant for dinner and a snack bar with terrace. Sports, games and activities: Outdoor swimming pool (heated in winter months) with a children's section, 'Body Love' Health and Beauty Centre offering physiotherapy, massage service, professional wellness centre, beauty salon, sauna, whirlpool bath, fully equipped complimentary gym, table tennis and a pool table. For the kids: There is a children's section in the main swimming pool and a daytime entertainment programme 6 days a week (peak months) for 4-12 year olds. Additional: 24 hour reception, laundry service, dry cleaning service, currency exchange, internet connection, solarium with sun loungers, changing rooms, towels & parasols by the pool, elevator/lifts, cots and highchairs. There is a 24/7 telephone booking service available to all guests at the hotel that allows you to book days out, local bus time table, to let staff know of any problems that may arise, alternatively you can also do this face to face when you book a personal visit. All rooms are fully equipped with air conditioning, ceiling fan, satellite TV with music channel, direct dial telephone, mini bar, hairdryer, private bathroom with corner bath tub and a balcony or terrace.